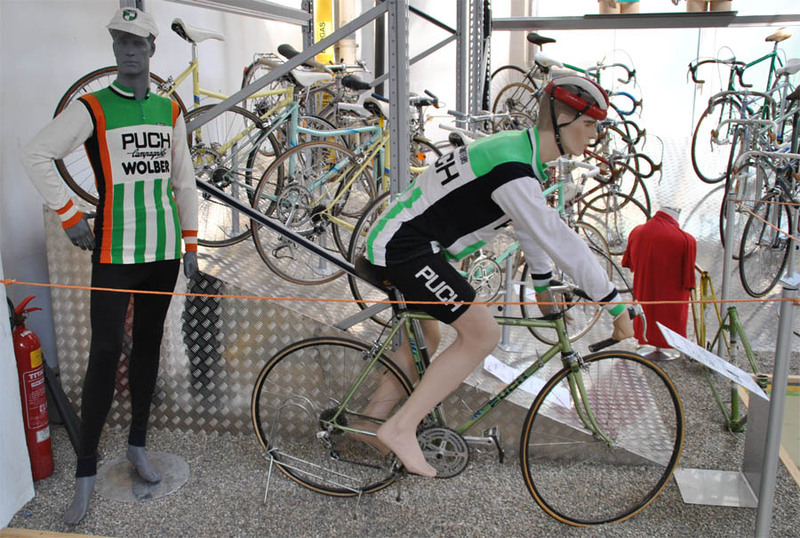 The Johann Puch Museum show the history of what was once the Johann Puch company. The Puch company has a very long history of manufacturing bicycles, mopeds, motorcycles and cars. 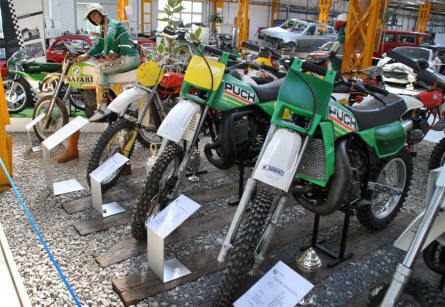 Many examples of these can be seen at this museum. 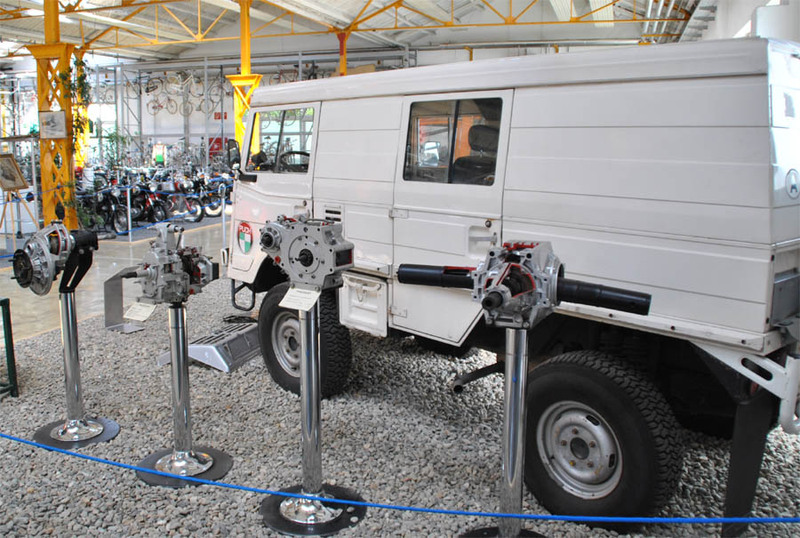 Today the current companies (Steyr-Daimler-Puch AG and Magna Steyr) manufactures 4x4 systems for a lot of car brands, electrical systems and aluminum car bodies. Some of the many Puch off-road motorcycles displayed at the Johann Puch Museum in Graz. Some of the many Puch bicycles displayed at the Johann Puch Museum in Graz. Two of the classic Steyr-Puch-Haflinger Type 703 4x4 vehicles displayed at the Johann Puch Museum in Graz. Some of the 4x4 components manufactured by Puch (Steyr-Daimler-Puch) displayed at the Johann Puch Museum in Graz. 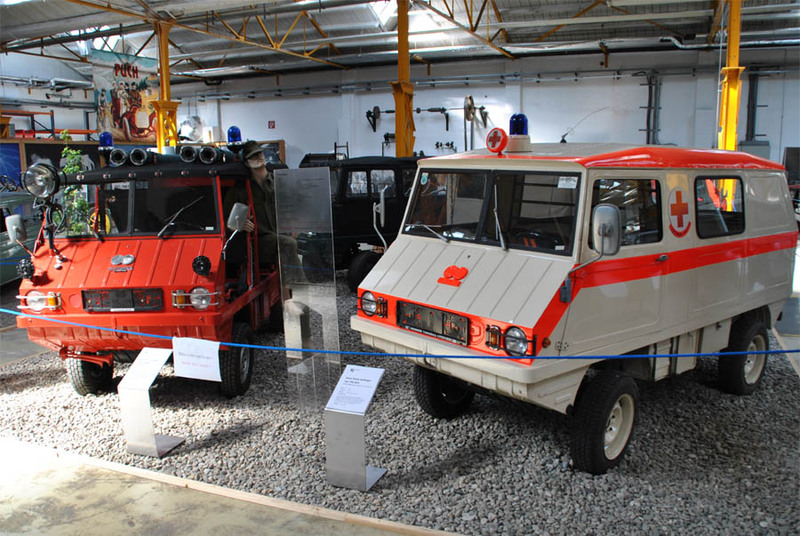 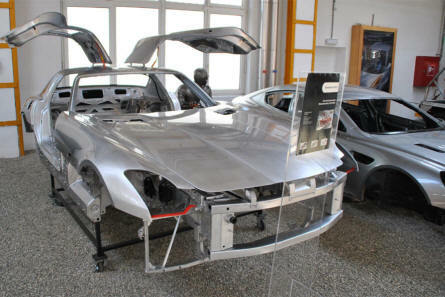 Some of the aluminium car bodies manufactured by Puch (Magna Steyr) displayed at the Johann Puch Museum in Graz. 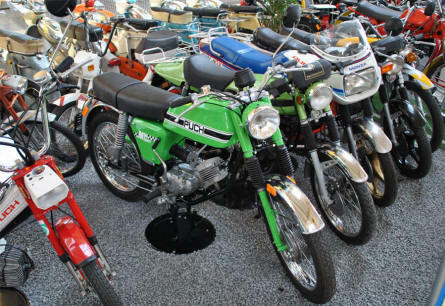 Some of the many Puch mopeds displayed at the Johann Puch Museum in Graz.